HomeThe Truth About the Pacific "Data Void"
How often do you hear statements like this? 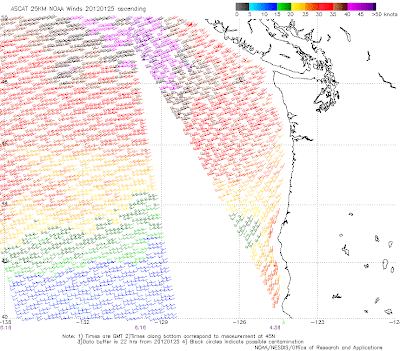 Forecasting skill is bad on the West Coast because there are few weather observations over the Pacific. We don't know what is coming from the west, so it is impossible to forecast in the Northwest. In reality these statements are really not true. 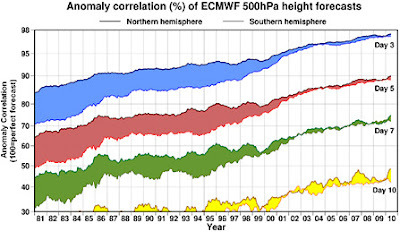 We have a huge amount of information over the Pacific and that is probably the main reason why weather forecasts have improved so much over the past 30 years. So what observing assets do we have out there? Be ready to be impressed! 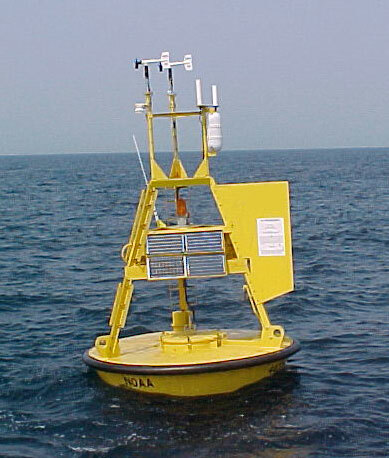 Buoys are good, but the problem is that they often are put out of commission with the first big storm. The big ones are anchored, and a bunch of them just drift around. 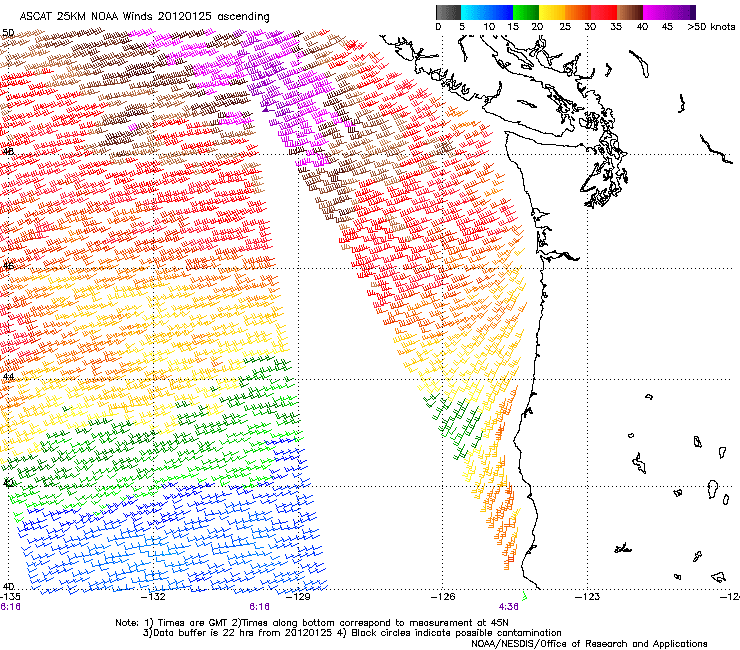 Here is what one of the fixed buoys looks like (46005, roughly 330 miles west of Aberdeen, WA). For some reason there are less ship reports in the middle of night. And as forecasts get better, the ships avoid the areas we really need data---in the middle and near major storms. When forecasts were bad, ships would get trapped in dangerous conditions--now they can get out of the way. To forecast the atmosphere we need data aloft, since the atmosphere is completely 3D. A relatively new source of information (few decades) is from commercial planes. A number of wide-body aircraft provide important weather data (temperature and winds, mainly). Most of this information is at flight level (typically 30-40 thousand feet), but we also get nice vertical soundings when they land and take off. Here is an example for three-hours on January 7th of this year. Lots of data for flights going to Hawaii and to Asia. But there are holes...big ones. Well, the sources shown above only represent a few percent of the observations we get. The bulk are from weather satellites. For example, some satellites can figure out the winds aloft by tracking clouds at various levels. Or they can sense variations in water vapor and track them. We get tens of thousands of wind reports per day in this way. Here is a small sample. Hundreds of wind reports! But it gets better than that. You remember Star Trek when they orbited a new planet and Mr. Spock scanned the atmosphere and told Captain Kirk about the structure and composition of the atmosphere below? 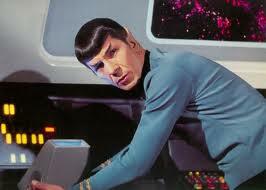 We can do that, perhaps even better than the folks on the U.S.S. Enterprise. Getting ready to check the atmosphere of planet Beta-5. Here is an example of a vertical sounding (temperature and humidity structure with height) at a location over the Pacific from a National Weather Service GOES satellite. Satellites can do much more. By sending microwave radiation down to the ocean surface and measuring how much is scattered back, some satellite can tell us the wind speed and direction. Don't believe me? Check this out! And there is MUCH, MUCH more. The bottom line is that meteorologists now have massive amounts of information from around the globe and this information is used to create a 3D initialization for numerical weather prediction models. We may have some holes and gaps at times, but we are no longer blind over the oceans and polar regions--there are huge amounts of data everywhere. There is one figure that reveals the impact of all this data on forecasts so beautifully that I have to show you...check the figure below. This tells you about forecast skill in the northern and southern hemisphere from 1981 to now. It is about the skill at 500 hPA--around 18,000 ft, a good middle level. The higher the number (anomaly correlation) the better--100 would be a perfect forecast. You see the forecasts for various forecast ranges (3, 5, 7, and 10 days, varying color). For each color the top line in for the northern hemisphere and the bottom line for the southern hemisphere. It is clear that forecast skill for both hemisphere has greatly improved over time. But there is something even more profound. Back in the 80s, the northern hemisphere, with more land area and far more observations, had much higher skill. But that seemed to change in the 90s and the early part of this century. Why? The answer is the satellites. During that period major advances in using satellite data in weather prediction were made. Since there is about as much satellite data in the southern hemisphere as the northern, why should the northern hemisphere have better forecasts? I was really stunned when I saw this figure for the first time. Few graphs illustrate so concisely how far we have come. With more satellite data sets coming on line during the next decade, and improvements in the technology of data assimilation, expect further improvements in weather forecasts.